More Models. More Plastics. More Choices. We offer the largest selection of golf discs to suit a wide range of needs and preferences of today’s players. 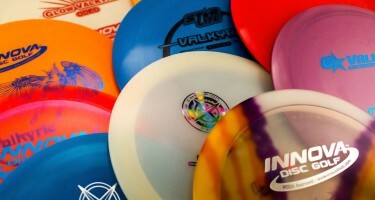 Our discs come in a variety of plastic types, each with its own unique properties. Our DX plastic offers great grip at a great price. Driver Pro plastic provides added durability and unique feel. Champion plastic offers the highest durability and comes in cool pearl and clear colors. Star plastic offers the durability of our Champion line plus the enhanced grip of our Pro line. Mouse over the plastic types below for quick info about each type, or check out our FAQ and Plastic Types Overview. Discs on the left side of our chart are better for throwing upwind, while discs on the right of the chart are better for throwing downwind. Less powerful players would be better suited to throwing discs on the lower right side of the chart as they require less power to get distance. More powerful players may choose discs on the upper left side of the chart for more control in all wind situations.